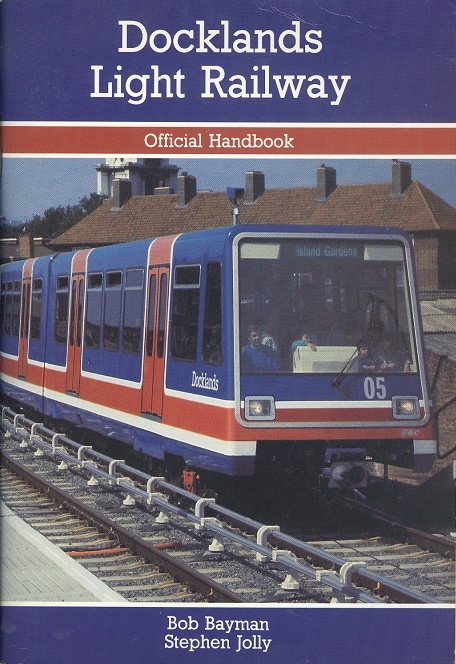 Docklands Light Railway. Bob Bayman Stephen Jolly. Capital Transport, 1981. 1st Edition. ISBN: 0904711951. 64 pages, 165g. Stapled soft card covers with light crease to top front corner, Very Good. Illustrated with b/w and colour photographs and drawings, covering the initial building and operation of this ground breaking railway system.